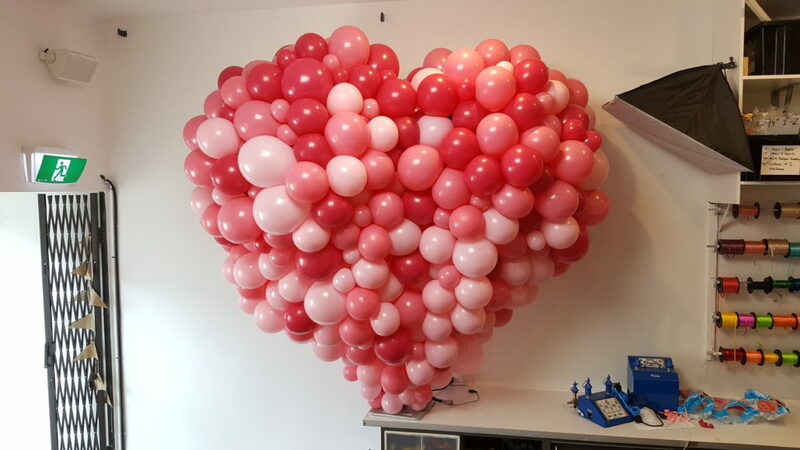 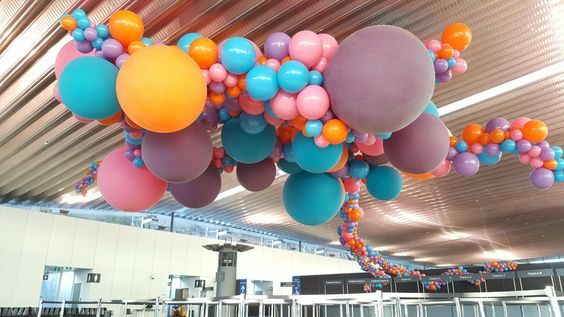 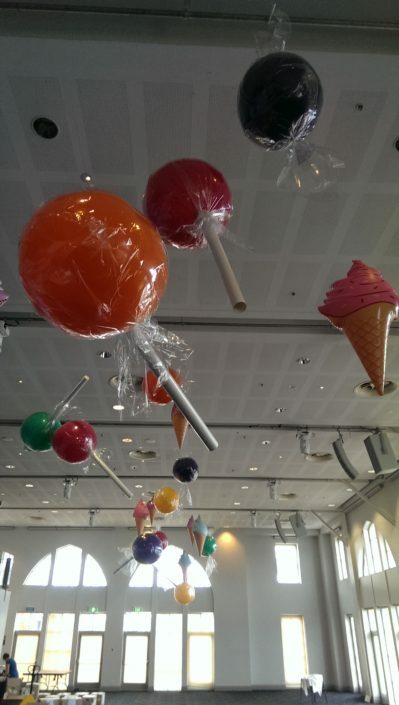 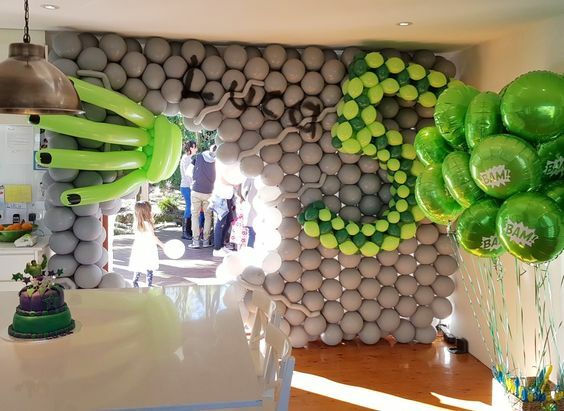 We love the idea of taking balloons and turning them into art. 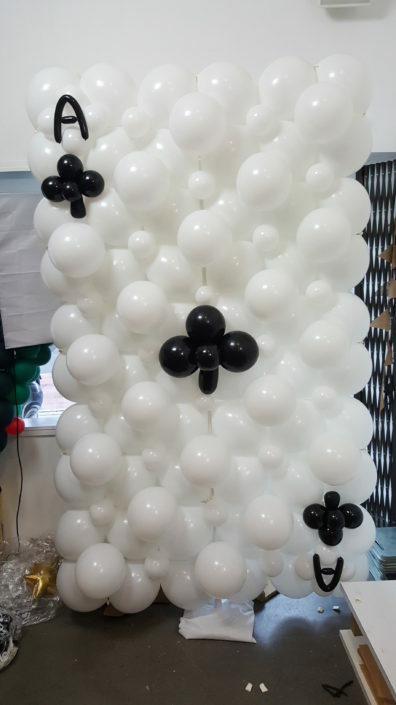 We’re up for any challenge you throw at us! 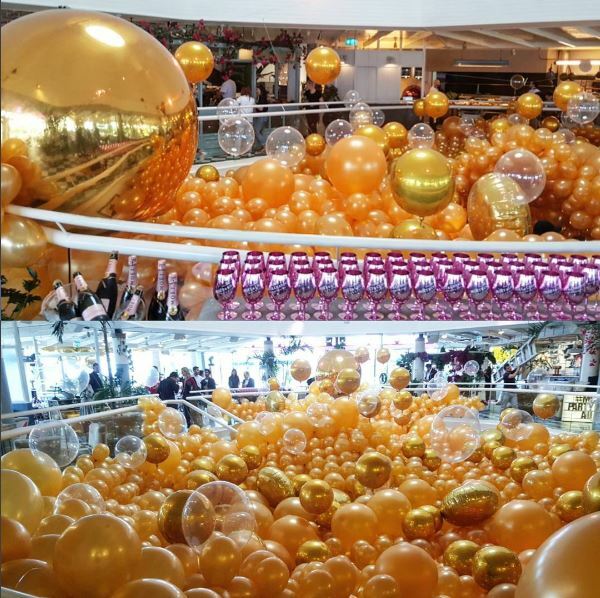 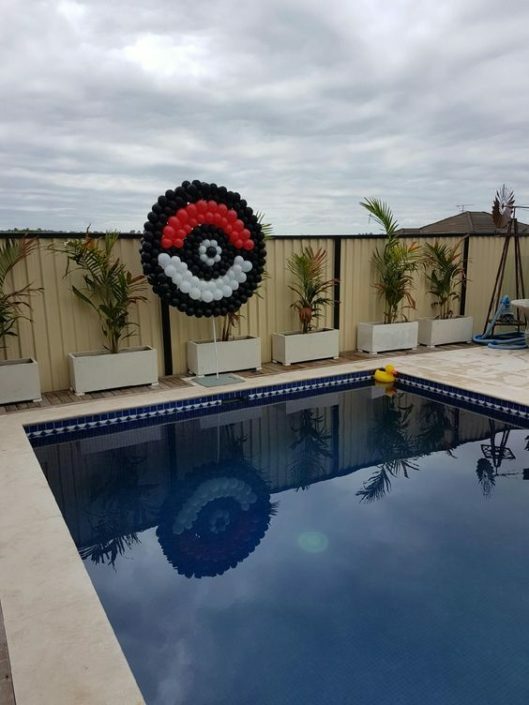 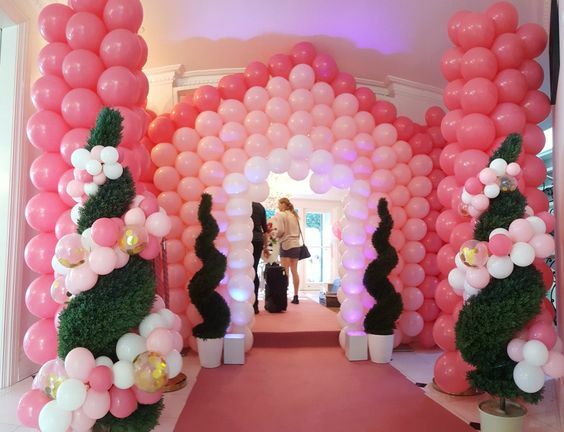 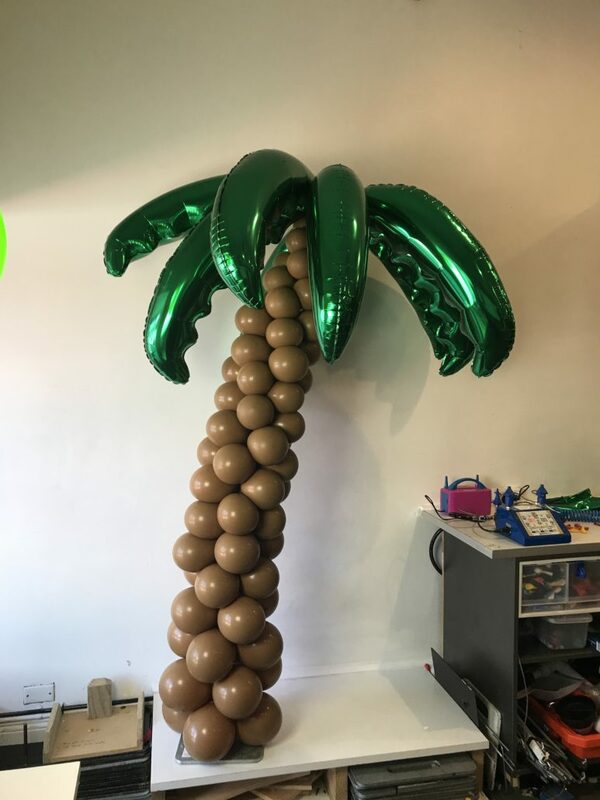 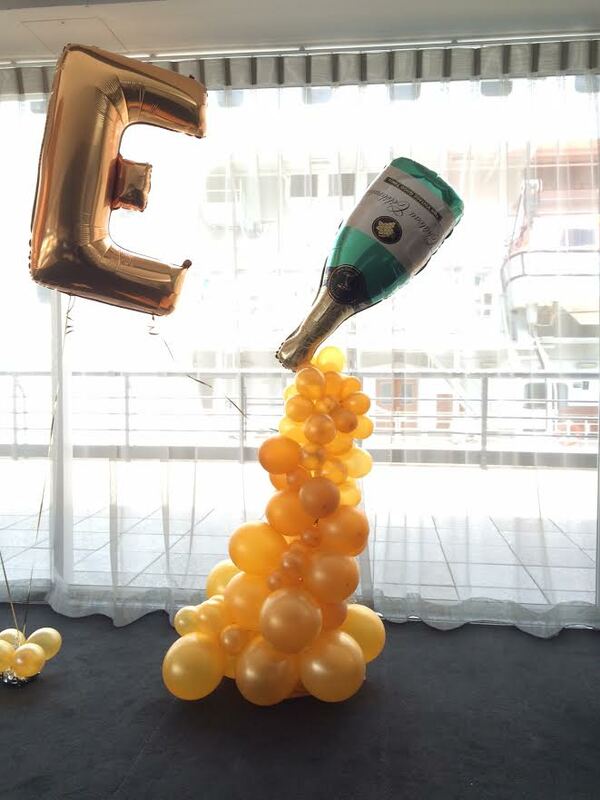 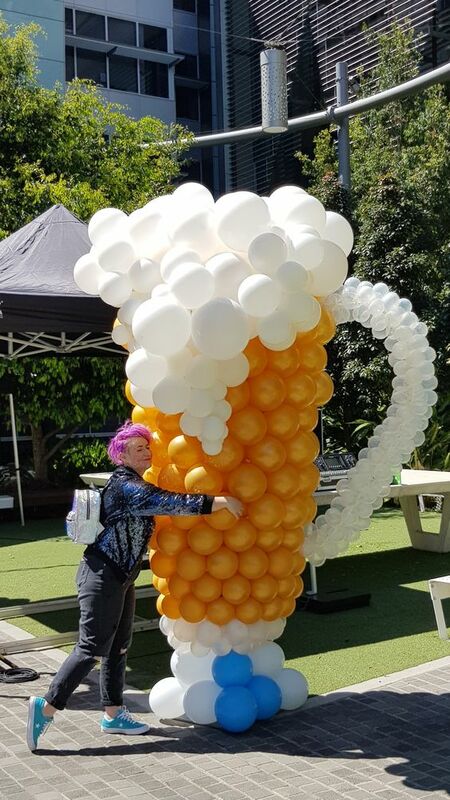 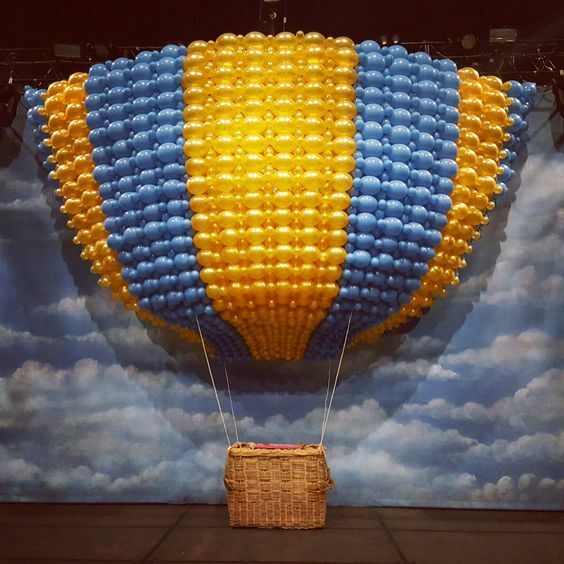 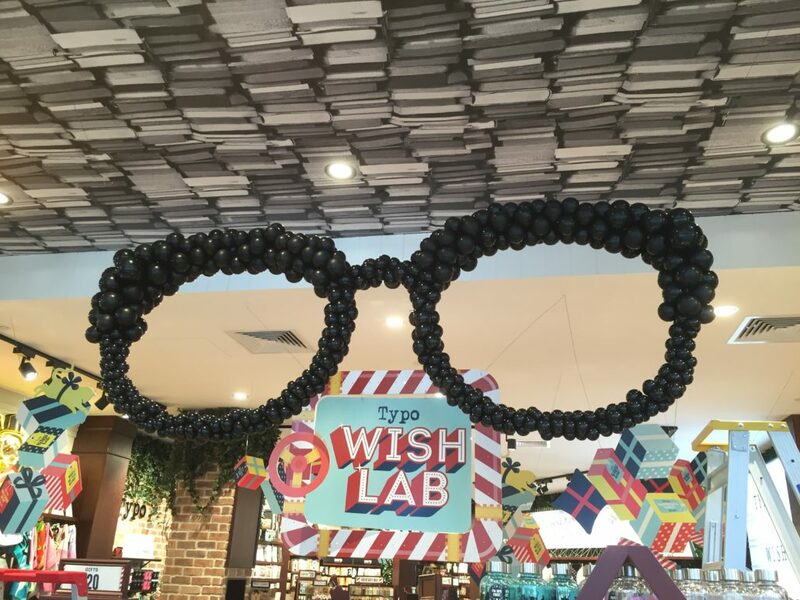 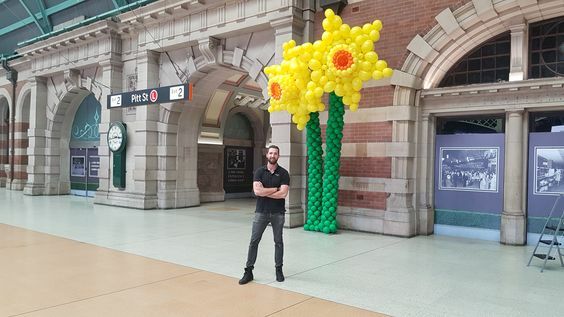 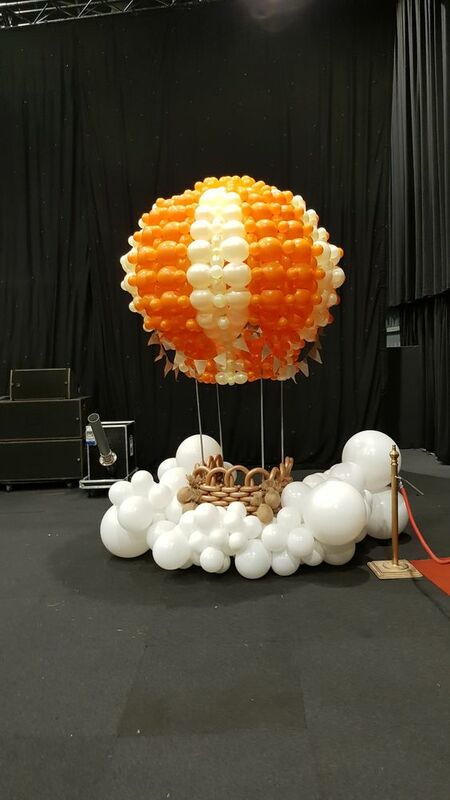 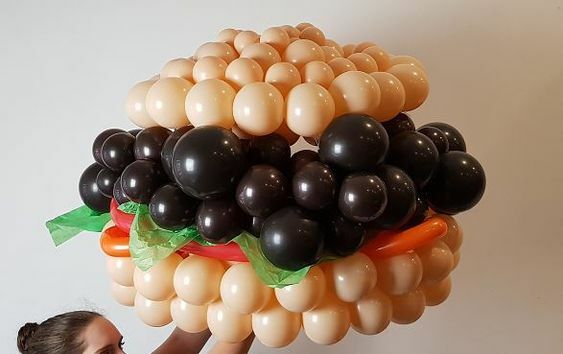 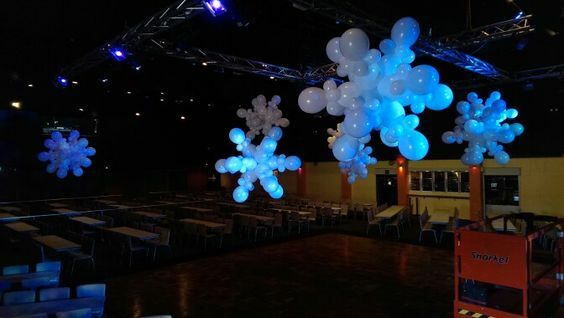 Our professional team of balloon designers can help you turn that idea into a reality. 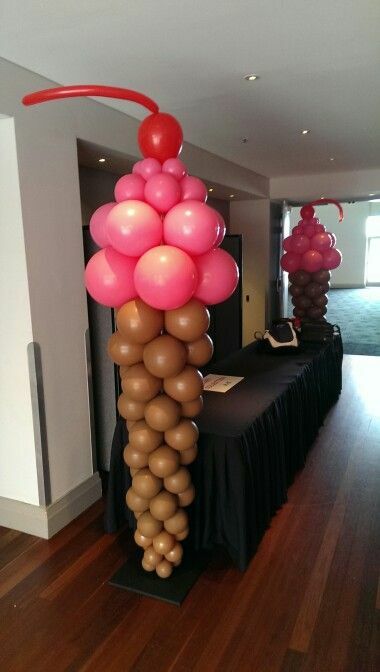 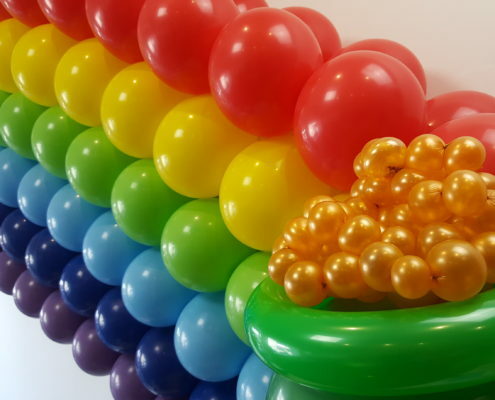 Balloon sculptures are most commonly air inflated balloons twisted and molded around a solid frame for support. 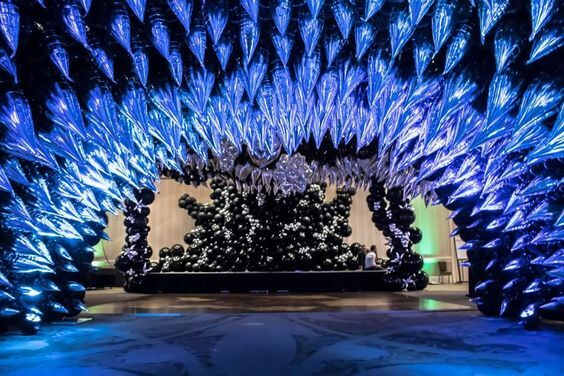 These sculptures can last up to two weeks in the right conditions. 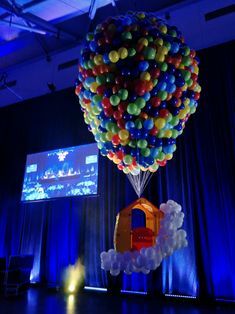 Send us an email today to start designing your custom built balloon sculpture! 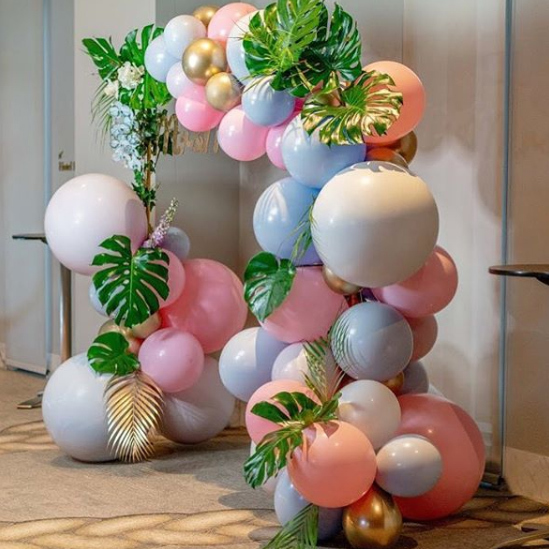 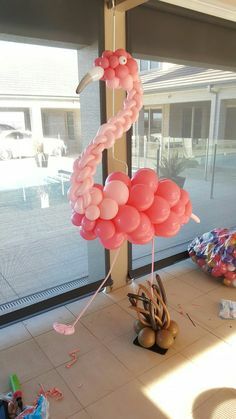 Balloon sculptures last longer and look their best for longer when they are kept indoors out of direct sunlight and heat. 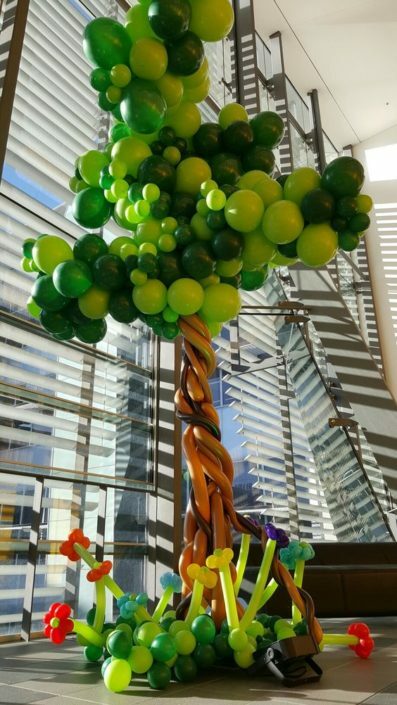 If you are planning on having them outside for a long period of time please take this into consideration. 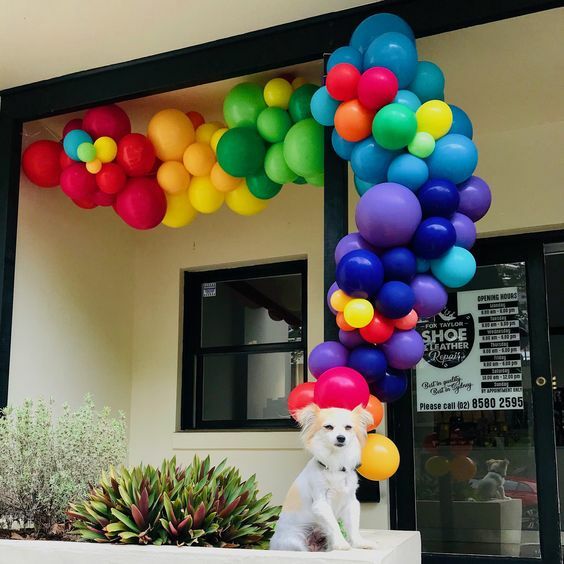 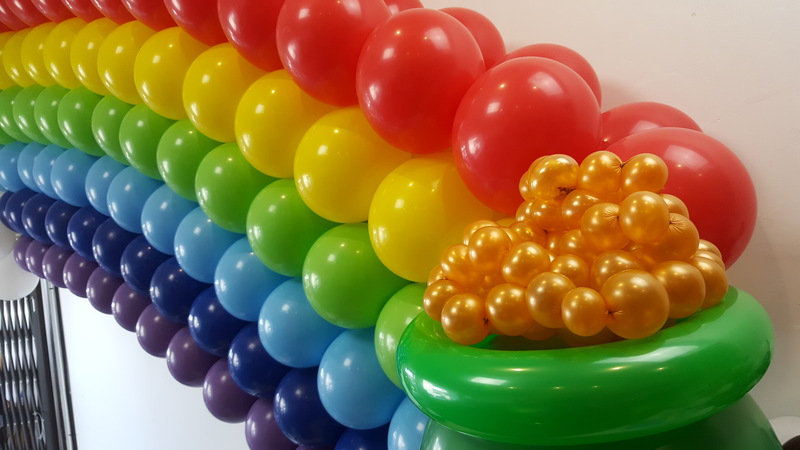 For more information on how to make your balloons last longer visit our FAQ page and read up on Balloon Shine and Hi-Float.